Intrepid Control Systems » RAD-Moon Duo RAD-Moon Duo | Intrepid Control Systems, Inc.
To support the autonomous vehicle industry, Intrepid Control Systems, Inc. is introducing at the Automotive Ethernet Congress 2019 its RAD-Moon Duo, for connecting to two ports of Automotive Ethernet 100BASE-T1 to two ports of a 4-wire 10/100 Ethernet (100BASE-TX). Automotive Ethernet is required for high-speed sensors such as LIDAR and RADAR used in autonomous systems. The RADMoon Duo reduces the cost of autonomous systems by saving integration time, physical size, and cost per channel of sensors. 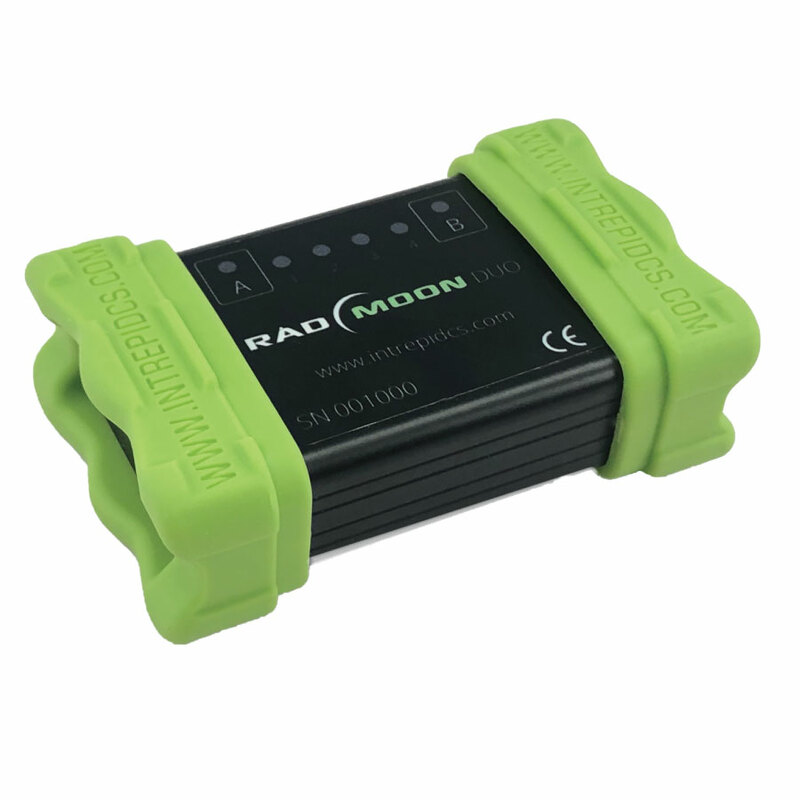 The RAD-Moon Duo includes features not yet available in Automotive Ethernet converters by including a high-speed USB interface for configuration and monitoring, a stand-alone mode for simulations, and a LED membrane for live network status. The device is based on two Marvell 88Q1010 Ethernet PHYs (physical layer). Finally, it has rugged packaging for use in in-vehicle autonomous vehicles. “We doubled the value of our existing RADMoon device, significantly simplifying the large systems our autonomous vehicle customers are building. This, along will our other Autonomous solutions we are delivering, reduce pain points and speed up autonomous vehicle development.” said Don Hatfield, Director of Global Sales.